Did I expect a dental visit to UCSF on Parnassus to blossom into a Landmark expedition through the Embarcadero Business Center?! Why not? I’d caught a glimpse of Seymour an Introduction playing in close proximity to my #6 AC TRANSIT point of departure once I stepped off BART on Market Street in downtown San Francisco. Perhaps I’d get out of the dental chair in time to loop around back to Embarcadero for the 12 p.m. showing. This would be my third movie viewing, and a golden opportunity to snag a few more interviews for my budding documentary. Wishful thinking. I didn’t need any more all night video-editing splurges. I was beginning to show signs of blog related fatigue. Still, I was determined to find the Seymour blessed MOVIE house in a maze of towering commercial establishments with banks of every variety, local and international imposing their shadows on streets wreaking havoc over my my cell phone GPS. 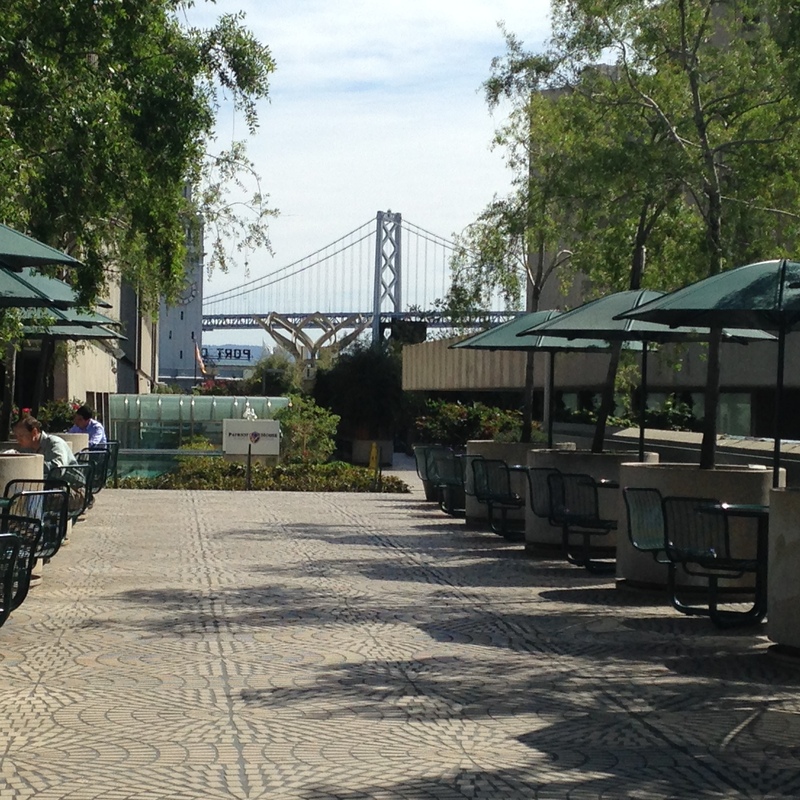 Fortunately, a blue collar laborer sipping a latte, rescued me from my dazed confusion and steered me to an escalator that would deposit me on the top floor of LANDMARK Embarcadero. What a stark shift from the anachronistic Albany Twin, that could easily double as the interior of a high security prison. 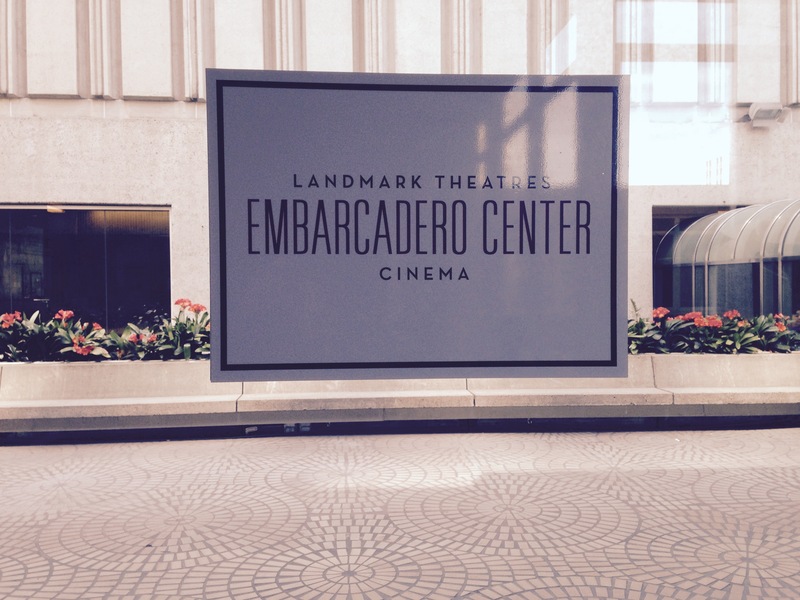 Embarcadero Landmark was spiffy by comparison–an architectural triumph and sky-high pleasure dome. Myung turned out to be a former student of Seymour’s at NYU, and Esther played for Seymour at an MTAC Convention event. After making our introductions, we snuggled together on side-by-side POWER recliner chairs that seemed to eat up a lion’s share of space in a rather small theater. But the BIG SCREEN managed to dwarf our recliners..
As opening credits rolled, it was an instant uplift from start to finish, with cloud nine post-movie sharing spilling into an anesthetized space outside the theater. As icing on the cake, Myung and Esther blessed me with two riveting interviews, and even permitted my eavesdropping on their private conversation about the film rounding out a perfectly satisfying day. Following the schmooze, Myung invited me to join her for a delightful Korean repast before I dashed off to the Steinway Piano Gallery to explore the newest grands. A 9 foot ‘D’ proved to be an additional afternoon highlight—recorded for posterity.